So, I picked the two colors and used the un-used sponge from Anne French kit to do the shading. 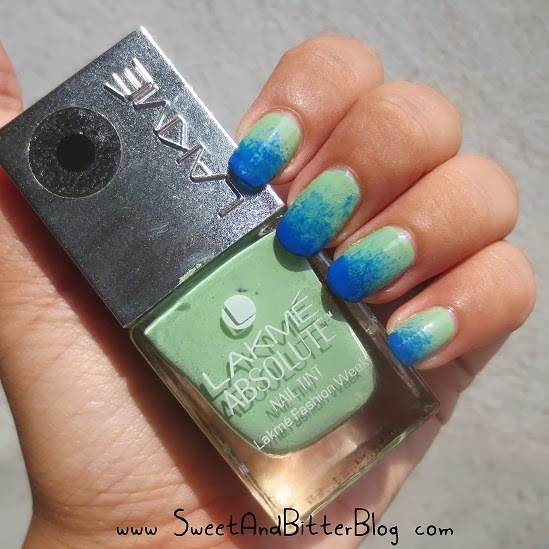 Lakme Absolute Nail Tint Kiwi Martini is the base color. I have reached out to this color a lot after I got this when I found a great Lakme SA. This is green toned pastel mint with glossy finish. Needs 2-3 coats for the perfect finish. This is great in quality and lasts long without any chipping or fading. 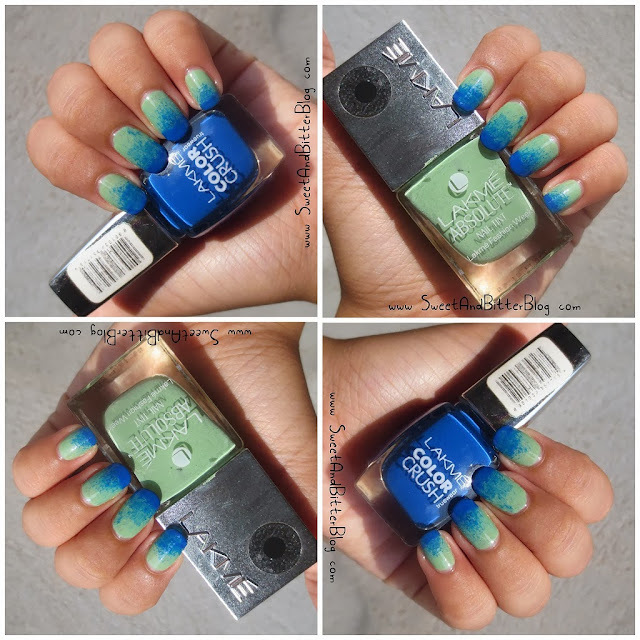 Lakme Color Crush Truewear 02 is my version of Superman Blue! Haha. I got this last year with 2 more from the range but then I was trying to swatch this - I broke my camera!! Ooppss. I used the blue as the darker color in the shading nail art. PS: Just one more day to weekend!! !